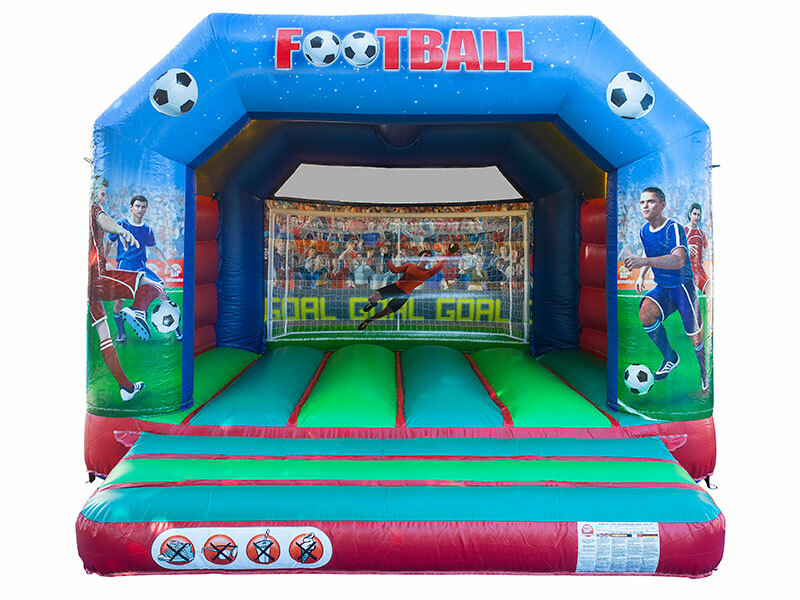 Another of our new castles for 2015 and is ideal for both boys and girls. It has colourful farmyard artwork which is bright and eye catching. SKU: CAS13. 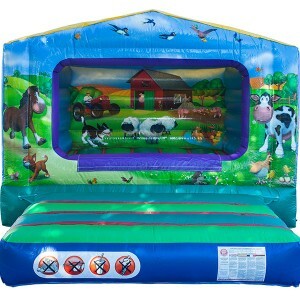 Categories: Bouncy Castles Available For Hire, Inflatable Ball Pools, Our Latest Bouncy Castles. 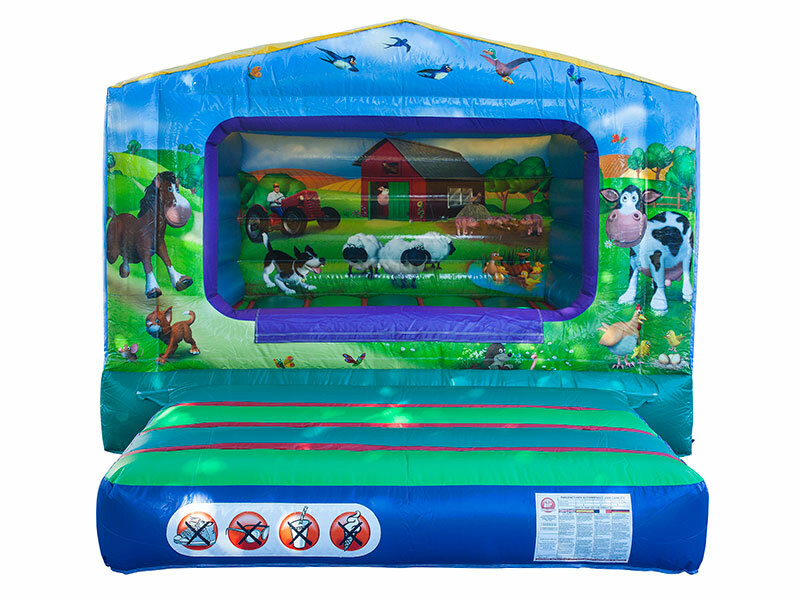 Another of our castles purchased in 2015 and is ideal for both boys and girls. 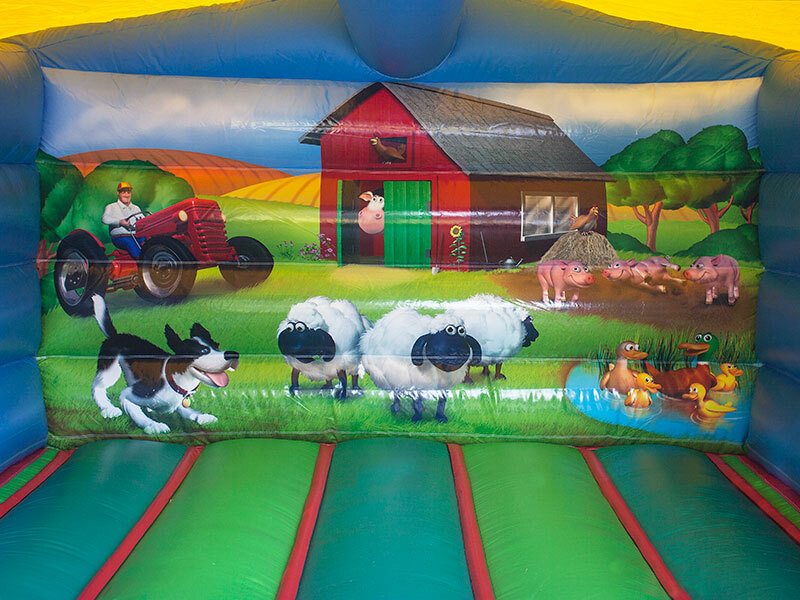 It has colourful farmyard artwork which is bright and eye catching. 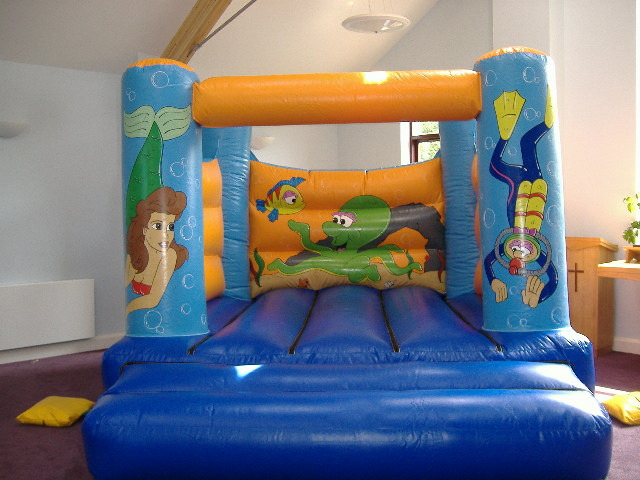 This castle is ideal for younger children and up to 10 years of age. 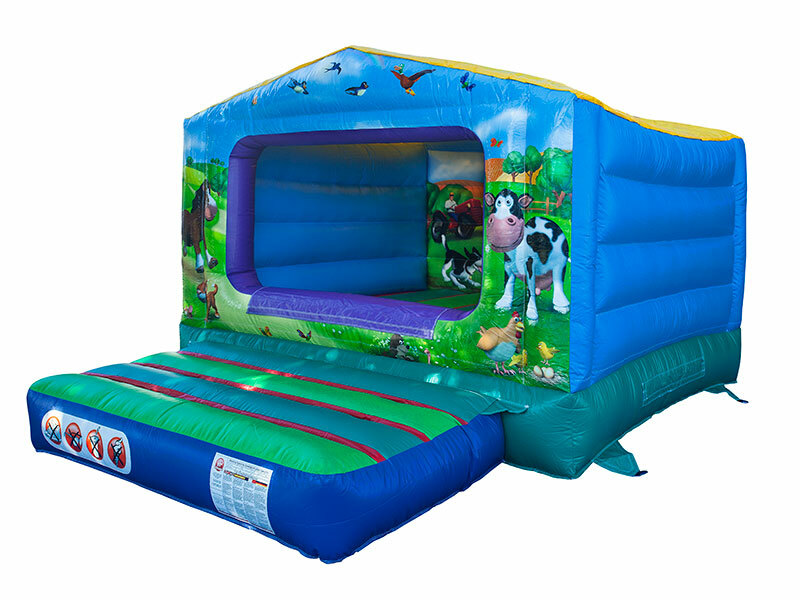 It has a pitched roof and built-up front making it perfect for the smallest children making it safe and secure. 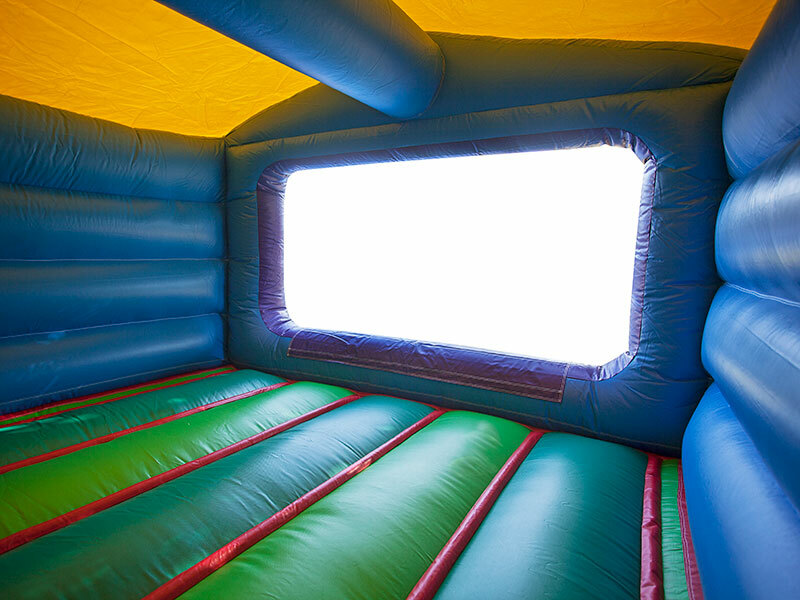 If the weather isn’t perfect for your party this castle remains perfectly dry inside at all times. You have the added bonus with this castle of being able to have this as a ball pool and balls can be provided at a small extra charge. 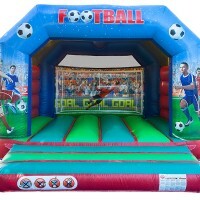 If space in your garden is at a premium or you have very young children then this is the castle for your party. 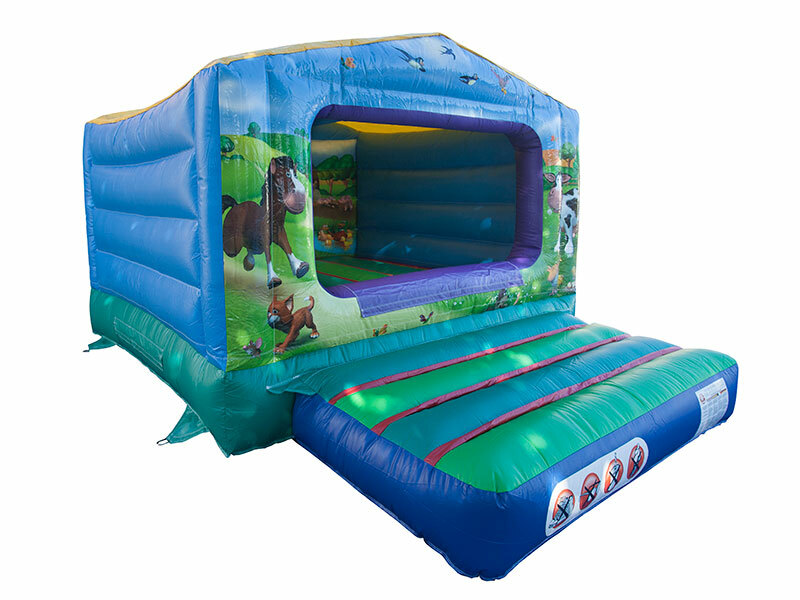 All indoor hire venues can accommodate this castle with it having a low pitched roof. 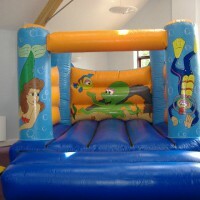 Why not consider hiring this and another unit at the same venue if you have a mixed age group of children.